Parents often deny themselves the opportunity to refuel. Free time felt like a novel concept to me. Between juggling my work schedule with my daughter’s preschool day, my first grader’s after-school activities, weekend birthday parties and play dates, and maintaining our household I was flat out. Exercise seemed impossible to fit in, and I was always tired. I was snappy with my husband too frequently and my patience with the kids was often short. 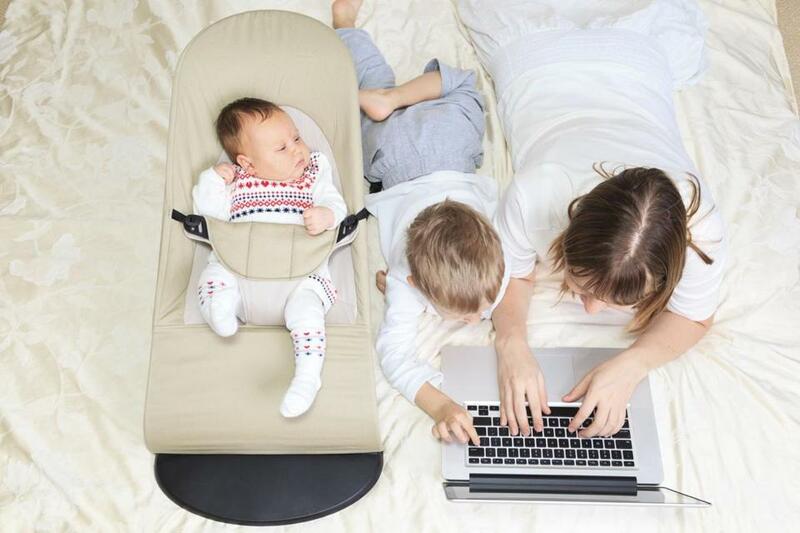 When I shared my experience with Genevieve Shaw Brown, an editor and reporter for ABC News who recently authored “The Happiest Mommy You Know: Why Putting Your Kids First Is the Last Thing You Should Do,” she laughed. A study by the University of Toronto published in the Journal of Marriage and Family in 2015 said that the average number of hours that mothers spend with their children each week grew from 7.3 in 1975 to 13.7 in 2010, even as the share of mothers working outside the home rose from 41 percent in 1965 to 71 percent in 2014. For fathers, the number rose from 2.4 hours in 1975 to 7.2 in 2010. And yet parents today often believe they aren’t spending enough time with their kids — while feeling overwhelmed as they try to balance work and family. Setting aside time to care for their own needs drops quickly off the to-do list, especially for parents with lower incomes, noted Melissa Milkie, a sociologist and co-researcher of the study. What difference does that make? In the study, researchers noted that mothers’ distress levels have significant impacts on the well-being of children and asserted the importance of supporting mothers in ways that improve their resources and maintain their health. Newton-based clinical psychologist Deborah Offner agrees that moms and dads who take care of themselves — by finding time to exercise, unplug, pay attention to their own needs — are better able to maintain their equilibrium. “Think about the quality of attention you are giving your kids. . . . [I]f you’re exhausted and haven’t had a minute to yourself, you don’t have the presence of mind to really focus on your child,” said Offner. Besides physical benefits, regular exercise helps protect against depression and anxiety, she added. Indeed, taking 15 minutes to meditate, or to drink a cup of tea uninterrupted, or to turn off the cellphone and walk around the block, may help let off steam that can build up quickly for busy parents. All the more reason, says Burton, a journalist, yoga instructor, and author of “The Self Care Solution,” to find time to look after yourself. Burton points out that parents wouldn’t deny their children a playdate, or a chance to exercise, or some quiet time, yet they deny themselves the opportunity to refuel. With the stresses of family life and work, spouses often take each other for granted and overlook the importance of maintaining their relationship. If you can’t get a sitter, focus on each other after the kids have gone to bed. Put the phones away and sit together with a glass of wine or a cup of tea, recommends Burton. I recently started playing tennis on Saturday mornings. For the first couple of weeks, my kids, so used to having nearly all of my attention, whined and asked me not to go. I actually considered not going because of it, but my husband pushed me out the door. I’m grateful he did. Now, it’s a highlight of my week.